It’s always a good idea to be penny-wise and with your Nikon D3200 DSLR, you have the potential to save a few dollars while having fun capturing the most important moments in your life. Since your Nikon D3200 comes equipped with Wi-Fi capability, you can transfer your photos directly to your tablet, computer or iphone and then quickly upload them to any photo-printing site, taking advantage of sales and coupon codes from a variety of photo printing companies, including Walgreens, which is currently offering 30 percent off all photo prints. Snapfish provides an even better deal, offering customers 100 free 4”x6” prints every month when customers purchase their photos on the company’s mobile app from their cell phone or tablet. Rather than heading to the store to buy that someone special something that they may not want, you can go the creative route and use your Nikon D3200 to take photos that you can turn into a printed, personalized photo book at a cost of between $10.00 and $60.00. You can also put your photos to music and create a photo CD or buy a scrapbook and get really creative. Another idea is to use the video you’ve captured with your Nikon D3200 to put together a DVD compilation of special moments. Cut the price of getting holiday cards printed by taking your own holiday photo to grace the front of the holiday card rather than hiring a photographer or using a photo service from Target or JCPenney’s. With your Nikon D3200, you can take professional photos and if you can’t get your kids to sit still for a photo, your Nikon D3200 does have a child/baby shooting mode to capture them in action. 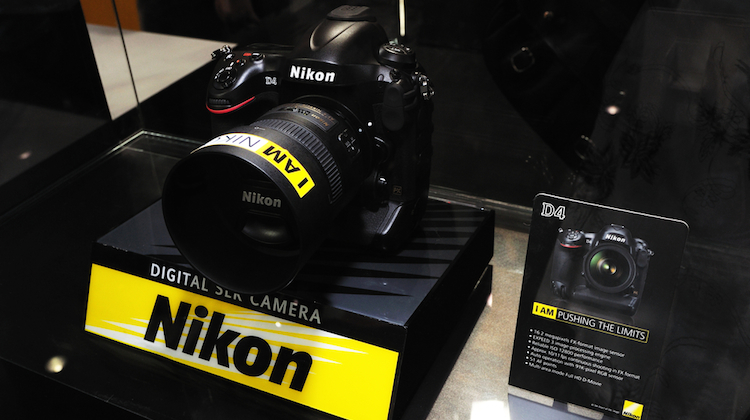 If you are ready to upgrade to a new camera, you can save some money on your new purchase by selling your Nikon D3200. One way to sell your gadget is by listing it on Ebay. A quick search shows on the site, that used Nikon D3200s have starting bids of between $599.99 and $285.00. You can also sell your Nikon on Craigslist or Amazon. Another option is to trade your Nikon D3200 in at Best Buy, which will provide customers with a gift card when they trade in any gently used electronics. According to CNN Tech, the trade in value depends on the age and condition of the item, but in general, you can fetch about $123.90 for your used Nikon D3200. Nikon display image courtesy of Shutterstock.